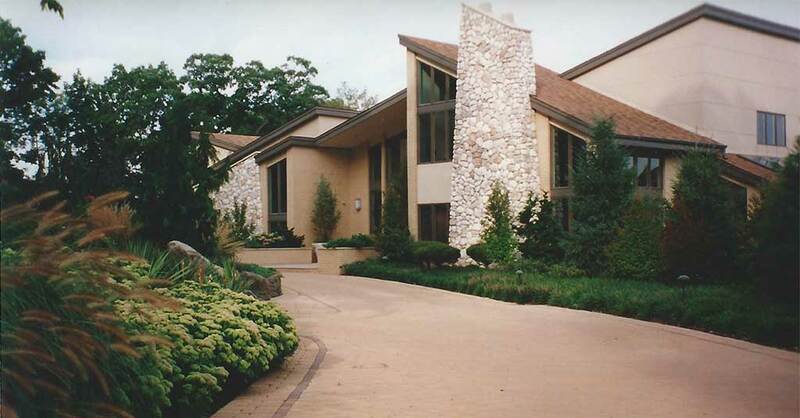 Work included new paver driveway with blasting of existing rock ledge to provide room for construction of circular driveway island opposite front entrance. New planting included mass plantings of perennials and ornamental grasses with oriental evergreen shrub and tree highlights. Oriental flowering trees were also included to provide seasonal ornamental interest.